Whether you are concerned about a mechanic's lien, a partition action, a zoning ordinance, or an estate planning instrument, it is important to consult with an experienced attorney. At Klose & Associates, our team provides vigorous representation to people who need a real estate attorney or guidance in probate disputes, home improvement litigation, or land use and planning issues. We also serve clients in the White Plains area who need a business lawyer to guide them through matters related to business planning and transactions, intellectual property, insurance coverage, insurance defense, personal injury litigation, and other disputes. Peter Klose takes the time to understand your situation and goals. He can explain the full range of options available to you, allowing you to make informed decisions with the benefit of his experienced counsel. We are knowledgeable in mechanic’s liens and other complex disputes that arise from home improvements. New York law (General Business Law § 771) requires contracts related to home improvement to be in writing and signed by all of the parties, and they must include contact information and the license number of the contractor. On residential projects, contractors and suppliers must file their mechanic's liens within four months of providing labor or materials for the project. However, a contractor that does not possess a license required by local law may not enforce a home improvement contract or a lien. As an experienced business lawyer representing clients in White Plains and elsewhere in Westchester County, Peter Klose understands the complexities of these issues and others. At Klose & Associates, we are familiar with the nuances of business deals, the technology that facilitates them, and the potential professional malpractice issues that can arise from them. White Plains business lawyer Peter Klose can explain your rights and obligations under a contract, which is an agreement between two parties to provide goods or services. Most business contracts must not only identify the parties and their rights but also provide for what happens if a dispute unfolds. For example, they may determine which law applies, whether the parties will go to arbitration, and which court may serve as a venue for a lawsuit. We guide start-ups and other small businesses through the process of forming contracts related to the purchase and sale of a business or real estate, as well as contracts with vendors, employees, and franchises. If a business relationship breaks down, we can also provide vigorous representation in pursuing the remedies to which you may be entitled under the agreement. Our firm can protect your interests by drafting wills, powers of attorney, guardianship petitions, health care proxies, and other estate planning instruments. However, emotions may run high in families when assets are at stake, and it is unfortunately common for probate disputes to arise. We can handle these as well. A will contest is one type of probate dispute. A family member may seek to challenge the validity of a will on certain grounds, such as improper execution, undue influence, or lack of testamentary capacity. To prove that the testator (the person making the will) did not have the mental capacity to make a will, for example, the family member challenging the instrument’s validity will need to establish that the testator did not understand what they owned, who would naturally receive their property, or what the will said. Through his experience as the Chairman of the Village of Nyack Planning Board, Peter Klose has gained distinctive insights into this area of the law. If you own property, zoning rules dictate how you may use your land and which types of structures may be built on the property. When necessary, we can bring an Article 78 proceeding, which is the legal procedure used to obtain court review of actions by state and local government officers or entities. Among other things, it may be used to challenge the decision of a zoning board of appeal or planning board. In an Article 78 proceeding, the court may overturn the action taken if it was arbitrary and capricious, not supported by substantial evidence, or based on a legal error, among other grounds. Our firm handles many different types of property disputes, including those involving adverse possession, partition, boundary conflicts, foreclosure, or breach of contract. Due to our substantial experience in this area, we also are skilled in legal malpractice claims against other attorneys related to their handling of real estate litigation. In an adverse possession action, for example, a neighbor or another party with no formal right to title claims that they have achieved the right to take title to property because they have had possession of it. The party asserting adverse possession must have acted as the owner of the property, have had open and notorious possession of the property, have used the property exclusively, and have had continuous and uninterrupted possession that was hostile to the owner's interest for at least 10 years. Anyone who co-owns real estate may ask that the property be divided in what is called a partition. Either the parties may voluntarily agree to a partition, or one of them may file a partition action to obtain a judicial ruling about how it should be divided. The partition may be in kind, which means that the land will be physically divided between the owners, or it may be a partition by sale, which means that the property will be sold and the proceeds from the sale divided between the owners. If you are looking for a Rockland or Westchester County litigation attorney, Klose & Associates has the experience and dedication that you deserve. Peter Klose serves White Plains, Yonkers, Mount Vernon, New Rochelle, Peekskill, Rye, Nyack, Ramapo, Orangetown, New Hempstead, Stony Point, Spring Valley, and New City, among other communities. Call (845) 727-7727 in Rockland County or (914) 948-1008 in Westchester County, or complete our contact form to set up your free appointment with a White Plains business attorney. If you need a probate attorney or assistance with a real estate, business, personal injury, insurance, or legal malpractice matter, we are ready to pull for you. Thanks Peter. In a very short time, you have successfully removed all of our stereotypical thoughts of lawyers. You are thorough, insightful, effective and you were ALWAYS right there when we needed your wisdom. As part-time residents of Dutchess County, my wife Gloria and I are delighted to have found a local attorney who can thoughtfully and capably deal with all our legal issues. His invaluable and responsive insight has been refreshing. Peter Klose handled my Will, Living Will & Health Care Proxy. Peter was VERY easy to work with... he is knowledgeable, answered all my questions clearly and concisely, was sensitive to my situation, and expeditious in handling my legal needs. Attorney Peter Klose has earned the respect of his peers and the appreciation of his clients through providing the quality of service and the excellence in representation that serves as our firm's foundation. Peter graduated from Red Hook Central School (1985), Cornell University (B.S. 1989), and New England School of Law (J.D. 1993). 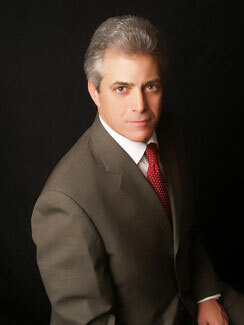 After honing his skills at large New York City firms, including Wilson, Elser, Moskowitz, Edelman & Dicker, LLP, Peter opened a law office in White Plains, New York, in 1999; and a second in Nyack, New York, in 2003, while assisting his father with all litigated matters. Privacy and Social Media: How Your "Private" Content is Still Discoverable in a Lawsuit. When do your Facebook posts become evidence in chief against your own story?